The Nobile Protective Service Security Management Team has a demonstrated track record of more than 30 years combined experience in the security industry. We have established the necessary credentials to outshine our competitors by way of our recent achievements and have produced and maintained efficiency and integrity in all aspects of our work, both with small clients as well as large and prestigious clients. We observe the best practice standards wherever possible and have adopted our own quality assurance standards in all areas of our operations. "...[we] have been using NPS Security for the past 18 months and continue to do so. 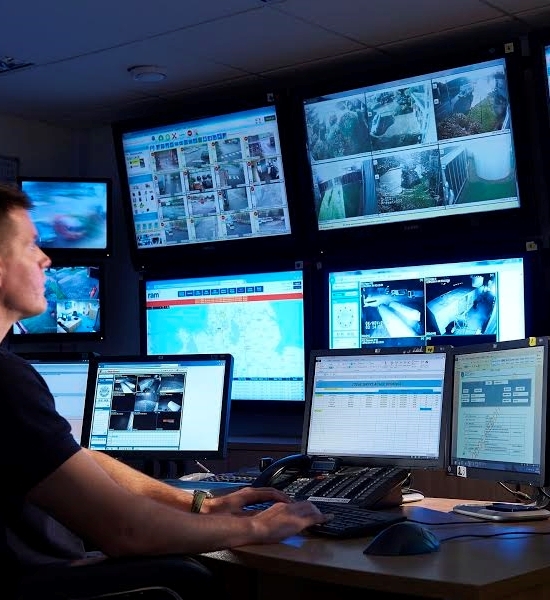 NPS Security are our preferred security company for supplying security services." "I have found NPS Security to provide a very high standard and quality of security officers/customer service to clientele in our stores. I have also found them to be a very professional company, and they have even promptly provided, at short notice, security personnel." "I have employed NPS Security on a number of occasions in my capacity as Infrastructure Manager, and cannot speak highly enough about the professionalism of this company. The employees have always been well presented, punctual, courteous and very efficient in all facets of their work. I would highly recommend the services of NPS Security to any prospective client." "Services provided by NPS are site security on a 24hr basis. Adhoc requirements and coverage for our permanents on leave. During the past 12 months NPS have never let me down on any request. Consistently NPS have proven themselves by taking ownership and being as flexible as possible, I have no hesitation in recommending the services of NPS and would be happy to discuss specific accomplishments." Various Acts govern security requirements, operations and practices within Victoria. These vary from powers of arrest (s. 458 of the Crimes Act 1958); "finds committing" (s. 462 of the Crimes Act 1958); the use of force (s. 462A of the Crimes Act 1958); supply of alcohol to an intoxicated person (s 114b of the Liquor Control Reform Act 1998); drunk, violent or quarrelsome behaviour in a licensed premises (s 114d of the Liquor Control Reform Act 1998); minors on licensed premises (s 120 of the Liquor Control Reform Act 1998); entry of minors to be prevented from entering restricted areas (s. 93 of the Gaming Machine Control Act 1991); minors not to play gaming machines in unrestricted areas (s. 91 of the Gaming Machine Control Act 1991); proof of age requirements (s 126 of the Liquor Control Reform Act 1998; s. 94 of the Gaming Machine Control Act 1991). NPS Security ensures that all work is carried out in accordance with the relevant Occupational Health & Safety Act guidelines. All staff are appropriately equipped and trained to ensure a safe work environment. Training in correct security procedures that is site specific. Equipment inspection and maintenance on all sites is required. Knowledge and skills of correct security methods and means. Understanding and practice of rules and procedures applicable to each location. Accident investigation and implementation of corrective action. Fire safety and evacuation procedures. We hold being adequately trained in self defence and/or restraint techniques in extremely high regard. This is paramount in ensuring situations that may arise are dealt with in a confident and composed manner. Training and guidance from a reputable instructor in restraint techniques or martial arts not only builds self-confidence and strength of character, it also conditions the body, cultivates the mind, enhances your skills, and provides an adequate stress outlet. All security staff at NPS Security hold a current Security Guard/Crowd Control licence and are certified in Level 2 First Aid. Ongoing and additional training varies, dependent on the individual and the position he/she holds within the company.